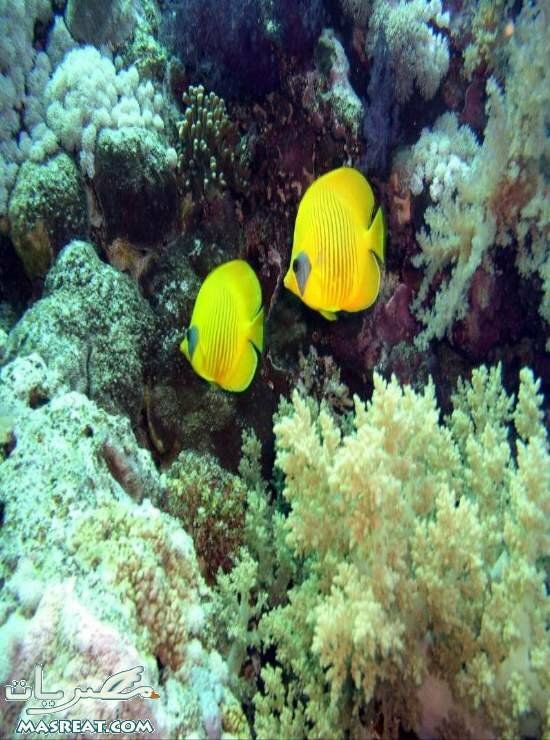 The main reason to visit Hurghada is for the beautiful Red Sea, which is excellent for diving or snorkeling. If you aren't licenced to dive, it is often possible to snorkel and see incredible coral reefs and hundreds of varieties of tropical fish just 10 meters from the beach. Again, either your hotel will have dive escorts on site, or they can arrange a scuba diving expedition with guides. In late March, the water is still quite cold (21 Celsius), so a wet suit is necessary, and even snorkeling in a bathing suit is too cold after about 10 minutes. It is also windy in late March; sustained 20 MPH are common. Make sure your Beach resort Hotel provides wind screens on the Beach. Hurghada has a variety of activities for those who enjoy the sea and the beach. Activities include scuba diving, snorkeling, windsurfing, para sailing, jetskis. You can also ride a glass boat (a boat with a glass bottom) where you can see the amazing coral reefs and underwater scenery. For those of you who want to have a desert adventure you can also ride motorbikes or beach buggies into the desert.